Rock & Metal 4 You: Timo Tolkki's AVALON - "The Land Of New Hope" hit the stores in May! Timo Tolkki's AVALON - "The Land Of New Hope" hit the stores in May! Former Stratovarius guitarist Timo Tolkki is doing another solo-project called AVALON. The album is called "The Land Of New Hope - The New Metal Opera" and will feature a conceptional story as well as lots of guest musicians. 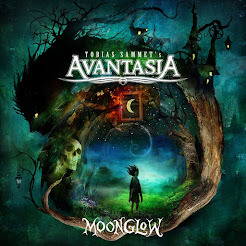 As you see, the whole project seems to be a duplicate of AVANTASIA. The subtitle "The New Metal Opera" suggests that Tollki wants to jump on this train. The guest musicians sound great, but we'll see if Tolkki can keep up with the first-class songwriting of Tobias Sammet. "The Land Of New Hope" will hit the stores on May 17th, 2013 in Europe and on May 21st, 2013 in North America via Frontiers Records.